TeamKFC is a communication and integration platform that all KFC U.S. employees, franchisees, and field and restaurant teams use daily to run the restaurants and their businesses. The intranet, powered by IBM Websphere Portal, enables access to standard procedures, tools, reporting, and training, as well news and important updates. While the portal is constantly evolving, the new features from version 9 gave KFC an opportunity to strengthen its foundation and prepare for innovative, new mobile and voice interfaces that will provide easier, faster access to the information people need to do their job. The site is a case study in world-class information architecture, usability, and governance. 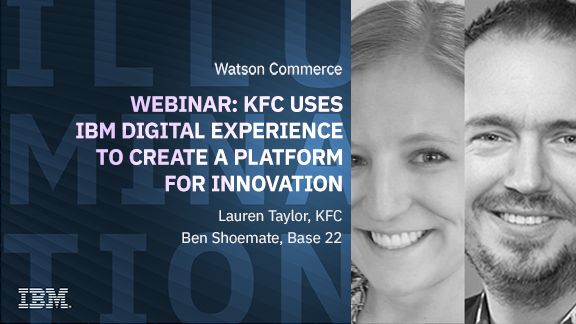 KFC has been using IBM Digital Experience (DX) to serve up the Colonel’s signature recipes since 2012 and, like the Colonel himself, it has only gotten better with age.